DHSL ‘inherited’ all surviving data for the Beagle Pup series of aircraft in conjunction with the transfer from Prestwick of Design Authority responsibilities for the Scottish Aviation Bulldog. Approximately one third of Pup airframe drawings (numbers prefixed BE-) are applicable to the Bulldog, the specific drawings for which are designated in the BH series. From 2001 DHSL was UK CAA-approved to act as Type Certificate Holder for the Beagle Pup. 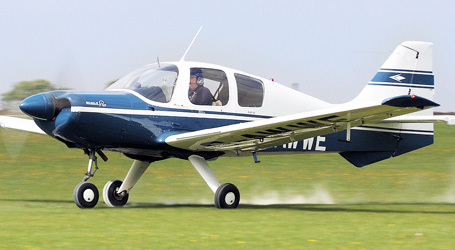 Unfortunately, EASA’s adoption of the aircraft type in 2007 rendered it impractical and uneconomic to retain the Type Certificate for the small fleet remaining. Pup aircraft are now EASA-regulated ‘orphan’ aircraft and operate in Europe on a Restricted Certificate of Airworthiness under Specific Airworthiness Specification SAS.A.082. All Series of Beagle Pup aircraft are also Type Certificated in the USA, Type Certificate Data Sheet No. A22EU refers. To check the availability and current issue status of all our publications, including those for the Beagle Pup, please click the Publications - Status and Prices button for details. Please note that Beagle Pup publications are ‘frozen’ unless an urgent airworthiness issue arises. The index of Beagle Pup Design Authority Modifications is available at PDF Downloads. Further information may be available on request from DHSL. Please note that our archive does not contain details of modifications raised independently of DHSL or its predecessor Type Design Organisations. Such modifications may also be proprietary to their originators. 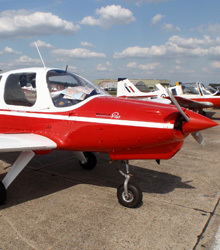 Instructions for continuing airworthiness have in the past been published as Service Bulletins and Service Letters, which may be given mandatory status by a National Aviation Authority. Beagle Pup owners and engineers must refer both to SB and SL, and to the Aircraft Service Manual, and should read one in conjunction with the other. The index of current Service Bulletins and Service Letters is available at PDF Downloads. We do not stock any Beagle Pup-specific airframe parts, but have a significant stockholding of Bulldog spares which may be suitable for the Pup where applicability is common, as indicated by a BE-prefix part number. Please e-mail us with your needs. For any long out of production type the network of fellow owners or specialist maintenance organisations is often a valuable line of enquiry. The Beagle Pup and Bulldog Club may be contacted via Useful Links.